The men's conference was tremendous with a wonderful touch of the Holy Ghost. Bro. 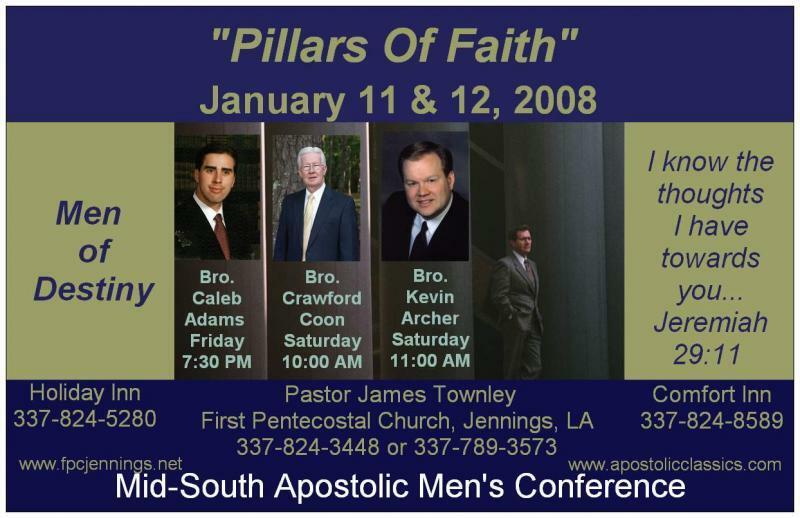 Caleb Adams - Friday Evening January 11th at 7:30 PM "The Responsibility of Headship"
Bro. Mike McConnaughey - Saturday Morning January 12th at 10:00 AM "Don't Let Him Steal From You"